Simple burritos are great but I like to change things up with my leftovers. Here are two other things I made with the leftover re-fried beans. 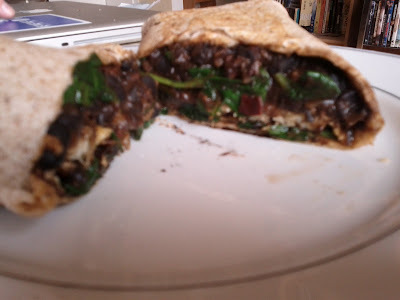 Breakfast burrito with lots of spinach, old cheddar and a fried egg. 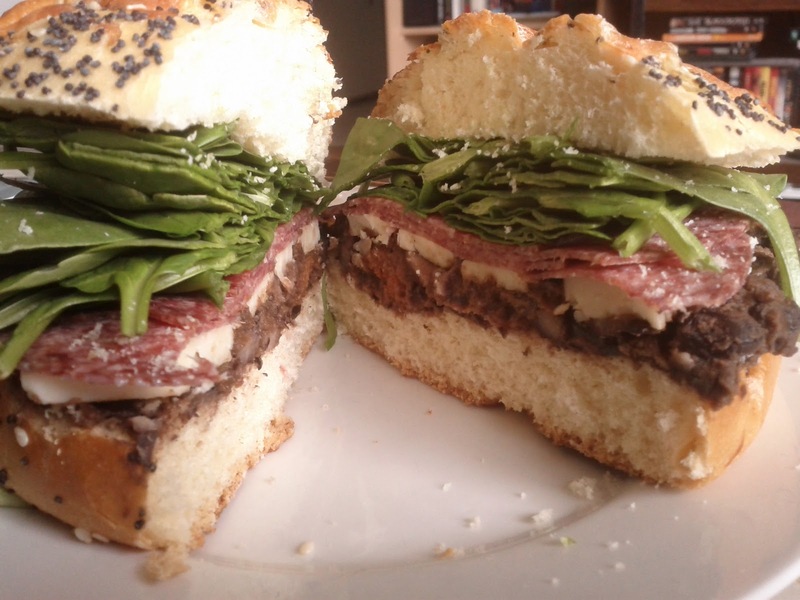 Old cheddar, german salami and spinach on a cheese and poppy seed kaiser roll.